The Kingdom of Saxony began its life in 1806 as nearly 500 years of an Electorate of Saxony came to an end. The last elector became the first King of Saxony; his name was King Frederick Augustus I. The first Queen consort of Saxony was his wife, Amalie of Zweibrücken-Birkenfeld. She went on to deliver three stillborn children and one surviving daughter, Maria Augusta, who could not inherit the Saxon throne. Upon the death of Frederick Augustus I in 1827, he was succeeded by his younger brother, now King Anthony of Saxony. In 1781, he had married Maria Carolina of Savoy, but she died of smallpox at the age of 18 and was thus never Queen of Saxony. He remarried in 1787 to Maria Theresa of Austria. They went on to have four children, all of whom died before their second birthday. She was only able to enjoy the title of Queen for a few months, as she died in November 1827. Upon Anthony’s death in 1836, he was succeeded by his nephew, now King Frederick Augustus II. Frederick Augustus married Maria Caroline of Austria in 1819 but they had no children together, and Maria Caroline died in 1832 of an epileptic attack. She was thus never Queen of Saxony. In 1833, he remarried to Maria Anna of Bavaria, who happened to be the twin sister of Sophie of Bavaria, who became the mother of Emperor Franz Joseph I of Austria. This marriage too remained childless. Frederick Augustus did leave an illegitimate son, but he was not eligible to succeed. Upon his death in 1854, he was succeeded by his younger brother, now King John of Saxony. John had married Amalie Auguste of Bavaria in 1822. She was a sister of both Maria Anna and Sophie. She too was from a set of twins. 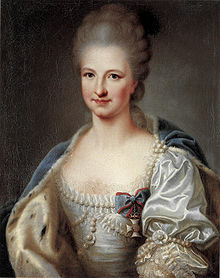 Her twin sister Elisabeth Ludovika became Queen of Prussia. They went on to have nine children together, though not all lived to adulthood. Upon John’s death in 1873, he was succeeded by his eldest son, now King Albert. He had married Carola of Vasa in 1853, but they had no children together. Upon his death in 1902, he was succeeded by his younger brother, now King George. George had married Maria Anna of Portugal in 1859, and they had eight children, though not all lived to adulthood. 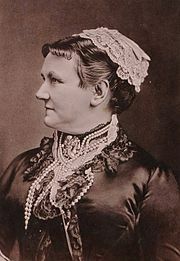 Maria Anna died in 1884 and was thus never Queen of Saxony. George’s reign lasted just two years, and he was succeeded by his eldest son, now King Frederick Augustus III. Frederick Augustus had married Archduchess Louise of Austria in 1891. They had seven children together, and their marriage was unhappy. She ran away while pregnant with her seventh child. They were divorced in 1903, shortly before Frederick Augustus succeeded to the Saxon throne. Frederick Augustus III voluntarily abdicated after the defeat of the German Empire in World War I in 1918. The last Queen consort of Saxony was thus Carola of Vasa. The areas of the Kingdom of Saxony are now part of Germany and Poland. This current claim to the Saxon throne is disputed.